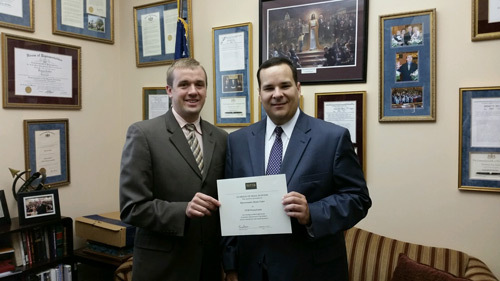 HARRISBURG – The National Federation of Independent Business (NFIB) has recognized Rep. Bryan Cutler (R-Peach Bottom) as a 2013-14 Guardian of Small Business. Guardian of Small Business Awards are given to senators and representatives who voted favorably on key small-business issues. The votes tracked this session are among the highest priorities in the NFIB’s small-business agenda. Cutler has supported small businesses on key issues including the creation of a new start-up business tax deduction, prohibition of “triple dipping” by retired government workers who return to work and then collect unemployment benefits after voluntarily quitting temporary employment, as well as the requirement of state agencies that use outside counsel to disclose contract terms and to cap the contingency fees that may be collected from the state by outside attorneys.